Gado gado is an Indonesian salad of vegetables, boiled eggs and tofu all served up with a brightly flavoured peanut sauce. On the table in 30 minutes, it makes for an easy and healthy dinner or meal prep for healthy lunches throughout your week. I am an absolute sucker for a good hearty salad, and this Gado Gado is the kind of thing my salad dreams are made of. Don’t get me wrong, I also enjoy a nice bowl of delicate leafy greens, but there is something about a salad filled with protein and denser vegetables that really screams healthy meal to me. Gado Gado translates to ‘mix-mix’ in Indonesian, and traditionally the dish is composed of a rich mixture of boiled or steamed vegetables and proteins such as tofu and eggs. The components vary by region, but the main highlight of the dish is brightly flavoured peanut sauce that the ingredients are tossed in – a beautiful blend of savoury, slightly sweet and slightly spicy. And let’s just talk about this sauce for a minute because this sauce is EVERYTHING! Creamy, with a perfect blend of flavours: peanut, lime, heat and the right balance of sweetness and saltiness. This sauce is a winner, and you are going to want to put it on everything! We love Gado Gado for either lunch or dinner, and it is an excellent way to use up leftover vegetables from the week – just add a boiled egg and tofu to whatever vegetables you have in your fridge and top with the sauce. Don’t be intimidated by the list of ingredients – I like a lot of variety in my salads, so I love to throw as many vegetables in them as possible, but you truly can use whatever you want, or whatever you have on hand. As for the sauce, if you do any southeast Asian cooking at home, you probably have most of this on hand already, but if you don’t it’s just a matter of purchasing them and throwing them all in the blender. It may seem like a bit of investment for one salad, but trust me, you are going to make this one again! Boil a medium pot of water for the eggs, and heat your oven to 400 F.
Cube the tofu into half inch sized cubes and spread out on a baking tray. Bake for 15-20 minutes. The tofu will be crisper and denser when fully cooked. When the water is boiling, place the eggs in one at a time using a spoon. Dip the eggs in and out of the water a couple of times so they can adjust to the boiling temperature without cracking. Boil the eggs for 6 minutes and remove from the boiling water. Rinse under cold water then set aside to cool. Blend up the sauce ingredients until smooth. Divide the vegetables amongst plate, then top with tofu and a peeled egg. 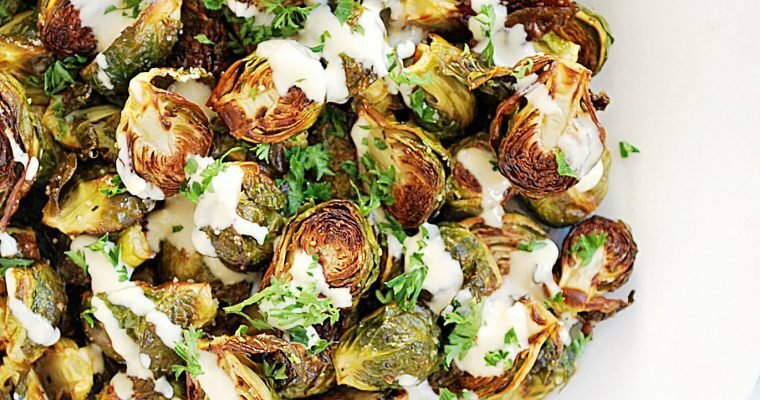 Drizzle sauce over the salads, and serve. Boil a medium pot of water for the eggs, and heat your oven to 400℉. 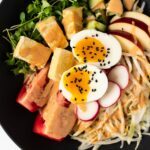 I had never heard of gado gado, but I love everything in this salad! And yesss that sauce is everything! I had never heard of it before either until recently, but now I’m pretty obsessed ! I love love love this Salad! The dressing is such thatvuou get hooked on to it! Thanks for reminding. Will be making ago soon. This sauce sounds wonderful! I love peanut sauce!! It’s the best! Great colors in this dish! I LOVE a good savory peanut sauce. I can’t wait to try it with tamarind and Indonesian soy sauce. I am so loving all the flavors in this! I have never heard of gado gado, but it’s totally right up my alley! This is my first time hearing of “Gado Gado” and boy o boy am I fascinated! Loving all the textures in this – and the intermingling flavors! YUM! 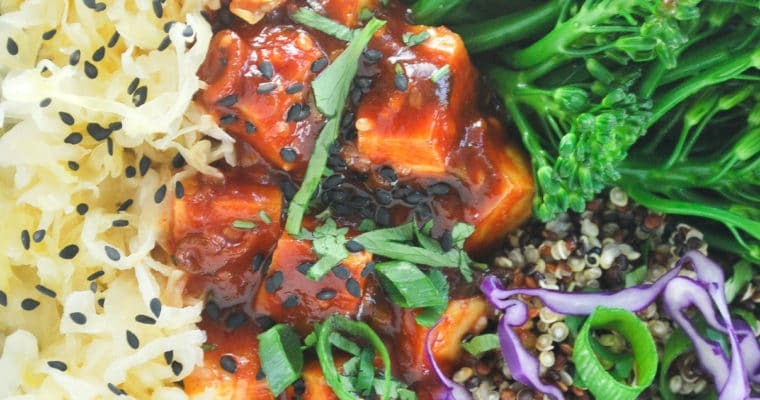 This is one of my favourite new meals… so healthy, so tasty and totally guilt free!